Every Friday, we (the ChartMogul Marketing team) step away from our desks for a couple of hours. During this time, we put all of our preconceptions behind us and strive to think on a completely different level than during our day-to-day tasks. For me, those two “Freaky Friday” hours on a Friday morning are the point of the week that I most look forward to in the ChartMogul Marketing team. It’s a time when each of us has an enforced reason for stepping away from their laptop screen, to take a couple of hours and gain some perspective on the why, as well as the high-level ‘what’. NO input is wrong. If anyone goes about shooting down ideas, they’re not welcome in the room. Everyone should feel comfortable suggesting anything at all. NO screens. This is screen-off time. Just you and a whiteboard or paper. Force yourself to come up with stupid ideas. Those ideas that go down like a lead balloon. Stupid ideas have more in common with the stunningly beautiful ones than you think — they’re further out towards the fringes of what’s acceptable. That’s where the good stuff is, so generate plenty of awful ideas. Pick one experiment. By the end of the session, aim to come away with one actionable experiment that you can take action on before the next meeting to test the hypothesis. Make sure you have a clear way to test whether it failed or succeeded. After the session, everyone involved should work on validating the suggested experiment. File this one alongside “Just do great work, and they will come”. Trust me, nobody will come – nobody gives a damn. If you’re putting the majority of your effort into writing, you’re not achieving the potential reach of said content. Your hard work is wasted. I don’t know about most people — and I’m certainly not most people — but ideas don’t hit me while I’m sitting at my desk, staring at the WordPress dashboard. The last successful piece I wrote was on a flight. The last great idea I had came to me when I decided to go for a walk out of frustration. Most other things hit me in the shower. Creativity can’t be forced — it’s like a plant that once seeded, requires the right conditions and nurturing in order to sprout. Your desk is an arid, nutrient-weak environment, and the sooner your boss can understand this, the better for your content strategy. MacKinnon showed that the most creative had simply acquired a facility for getting themselves into a particular mood — “a way of operating” — which allowed their natural creativity to function. In fact, MacKinnon described this particular facility as an ability to play. Indeed he described the most creative (when in this mood) as being childlike. For they were able to play with ideas… to explore them… not for any immediate practical purpose but just for enjoyment. Play for its own sake. The folks truly succeeding at this game are NOT the ones posting (and reading about) growth hacks. The truly successful guys are busy just getting on with it. They’re figuring out their niche, finding their voice and letting things flow. If you’re following a recipe, you’re not creating anything new. Picasso didn’t paint by numbers, so shut yourself off from the world and do you your own thing. Doesn’t assigning time to be “creative” go against the very notion of creativity? Yes. I completely agree — creativity should be something bred into the DNA of a business and nurtured throughout its growth. But here’s the thing: I bet 99% of people reading this would NOT call their company ‘highly creative’. So what are you going to do about it? 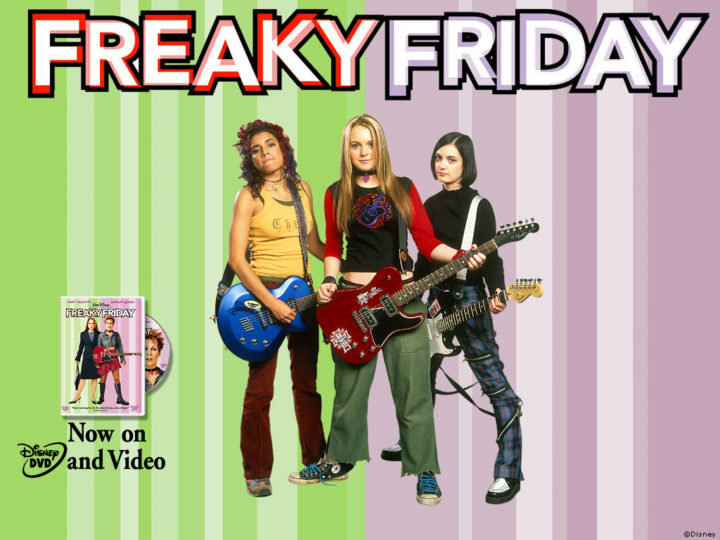 For us, Freaky Friday is a starting point — a foot in the door to creativity in a business that’s still finding its feet, and shaping its culture. In encouraging everyone to practice, rehearse in this way, I think people’s tendency to apply the same sort of thinking to other problems outside this environment will grow. Think of creativity as a muscle. It requires regular structured training and exercising, otherwise you won’t be able to apply it very effectively when you really need it. SaaS Q&A: Why wouldn’t a SaaS company use annual billing?